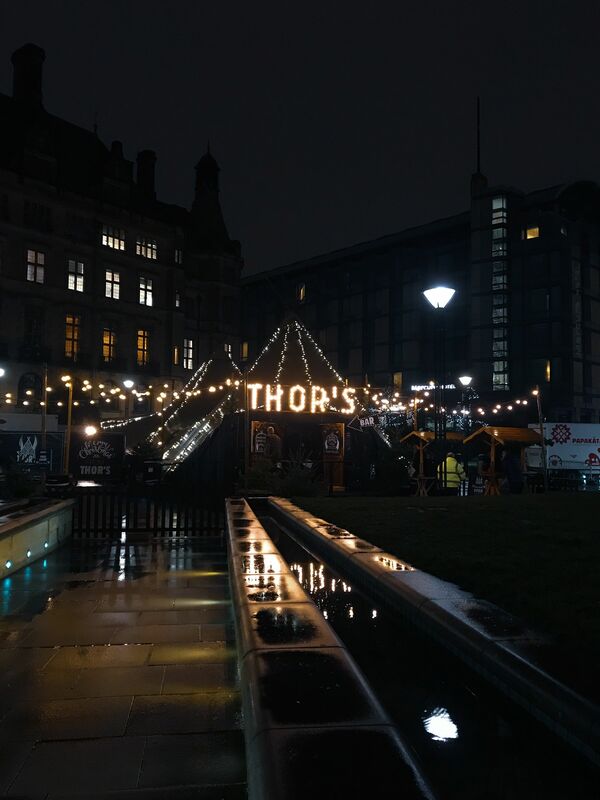 Have you been to THOR’S tipi in Sheffield’s Peace Gardens yet? It’s open every day from 12-11pm right up until New Year’s Eve and has all your winter warming needs as the evenings grow even more chilly this Christmas. 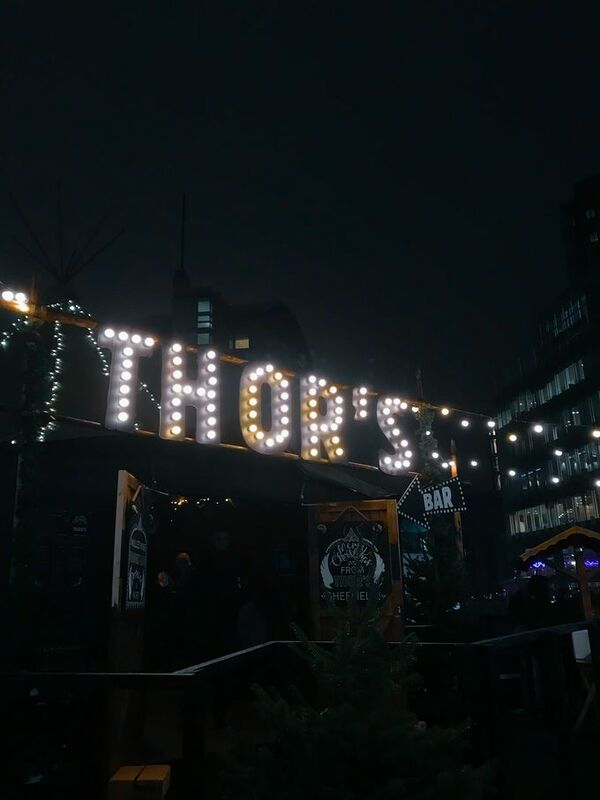 Whether you’re taking a pit-stop from picking up some bargain gifts (especially now that shops are open for longer), or you’re trying to get into the festive mood, THOR’S will keep you toasty and cheerful. 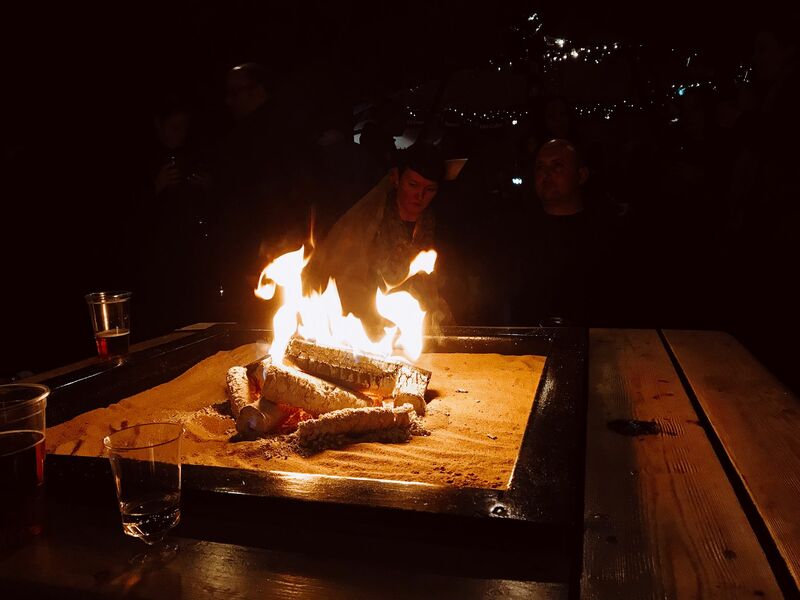 We visited the huge canvas tipi at its official opening in the city, and were impressed by just how warm what essentially is just a big ol’ tent, was. With an open fire and benches arranged in cosy corners throughout, we found it pretty difficult to leave the warmth and face the reality that was drizzle and sub-zero temperatures of outside. There were also plenty of different hot drinks options to choose from, as well as fizz on tap, plus a good few beers (Guinness too) on-hand. 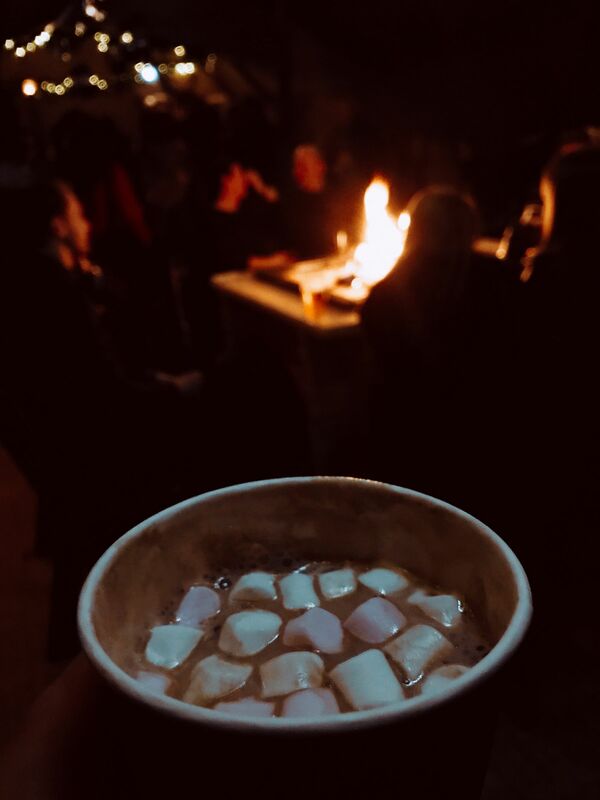 With options to ‘pimp’ out your hot chocolate with flavoured vodka or rum, if you weren’t already warming up from the cold, your drinks will definitely make sure you will. This year poutine expert Gravy Train has set up shop at the tipi too, offering the infamous French-Canadian poutine for all to enjoy. 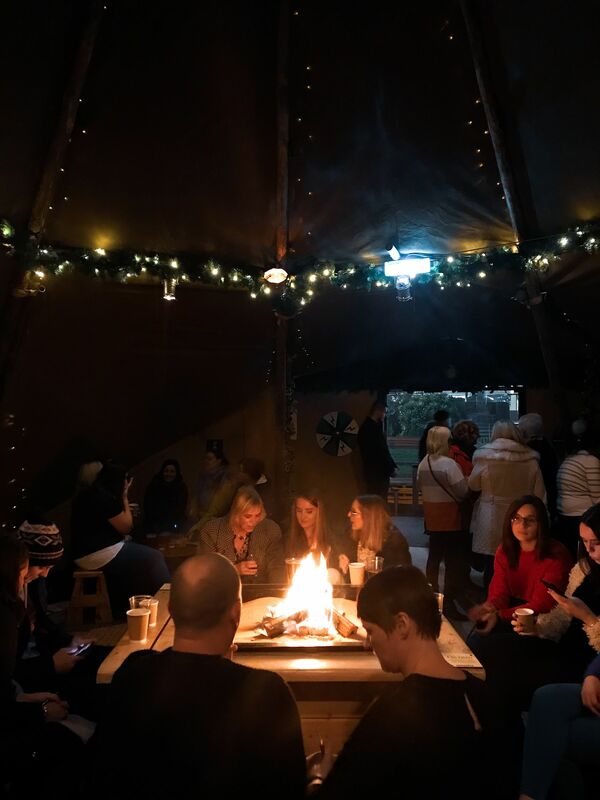 Even though THOR’S tipi will be popping up at various other locations in the lead-up to Christmas, we think that Sheffield’s tipi is extra spesh. Its twinkly bright lights and central location make it a Christmas-must in #SheffAfter5 this season.